My first sight in Satisfactory — the newest early access title from Coffee Stain Studios — is the rush of sky past my little pod window. I stumble onto an alien planet as a robotic, menacing voice fills my ear. I work for a galactic corporation, this voice is my AI handler, and I need to harvest this new planet for minerals, ore, and more advanced resources. My reward? Better tools, more powerful machines, and personal obsolescence. I mine ore by hand, then I build a drill to mine ore for me. I smelt ore into ingots, then I build machines to smelt ingots for me. 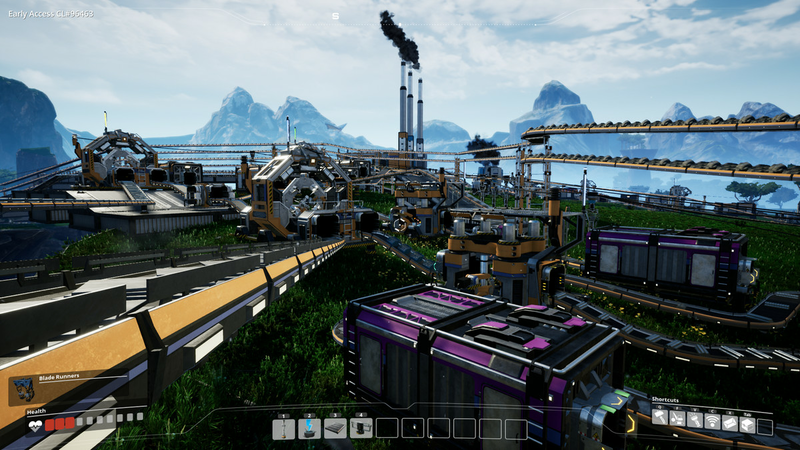 An hour into Satisfactory, I’ve managed to automate my previous cycle. The idea of building another iron rod by hand seems almost barbaric. Polygon Recommends is our way of endorsing our favorite games. When we award a game the Polygon Recommends badge, it’s because we believe the title is uniquely thought-provoking, entertaining, inventive or fun — and worth fitting into your schedule. If you want to see the very best of the best for your platform(s) of choice, check out Polygon Essentials. In a cruel twist of industrial realism, my goal in Satisfactory is to replace myself. When I’ve built all my machines, I can sit back and relax as my hard work grinds out resources in perpetuity. Satisfactory shifts when I start getting tools to improve my existing machines. Now I can replace my generators — previously powered by flowers, sticks, and other green bits I found on the ground — with coal. This involves a 1,000-meter line of conveyor belts to transport the new resource back to my base. My factory is still working while I go off to explore. In Satisfactory, I’m the only one who can break my assembly line. My human desire to increase efficiency means breaking something that was working perfectly before, in an effort to improve it. Adding a new machine to my army means trying not to blow another fuse. Problems are infrequent in Satisfactory, which makes the red flashing light of an inoperable machine that much worse. Nothing is more important than electricity. Without it, every machine hooked up to my grid will stop working. After I set up my 1,000-meter coal system (barely visible in the GIF above), I feel like I have unlimited power. Every machine I build is hooked up to my three massive coal generators. I color code the generators and my machines — being careful not to overload any specific grid. But the more machines I build, the more I have to upgrade my generators. By overclocking them, I figure they’ll produce more electricity for my factory. But I fail to realize that they also consume more coal. Without knowing it, I am slowly starving my generators of their fuel source. A third of my factory shuts down all at once. I had miscalculated the most important piece of my factory, and I paid for it in nearly an hour of factory downtime. I returned to my track of coal, and figure out how to speed up my assembly line by building the parts myself. Despite that setback, my time spent in Satisfactory’s world is relaxing. The problems with my factory — the blown fuses, the conveyor belt traffic jams — are my problems. I created them, and I’ll solve them too. My factory may be down for a few minutes or even an hour, but when it comes online, it’ll be even more efficient than before. My completely automated system creates more resources in a minute’s time than I could manage in my first five hours. And there’s always room to improve … as long as I don’t screw it all up. 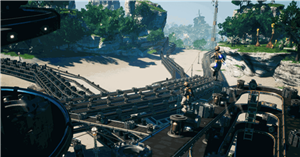 Satisfactory was released March 19 in early access on Windows PC via the Epic Games Store. The game was reviewed using a downloadable copy provided by Epic. You can find additional information about Polygon’s ethics policy here.